The Simple Network Management Protocol (SNMP) is easy to use and generally requires little configuration once it is set up. Many network devices support it and many parameters can be monitored with it. So to help cover all of your monitoring needs, PRTG provides you with around 70 SNMP sensors. These sensors range from monitoring general parameters to very specific parameters. Choosing the right sensor for SNMP monitoring that gives you the desired hardware parameters is a decision that depends on several factors: the type of hardware you have, what values you want to monitor, and a few others. Make sure that each device you want to monitor supports SNMP, and that it is enabled. You can find out whether a device supports SNMP by either going to the vendor’s website or checking that it is enabled in the configuration of the device. If you are uncertain whether SNMP is enabled on the target device and works, we recommend that you try our SNMP Tester, designed for just this purpose. You can scan for uptime to perform a basic check for SNMP availability of the target device. Enable SNMP on the device. Allow access to SNMP for the machine running PRTG Network Monitor in the device's security settings. Allow User Datagram Protocol (UDP) packages to travel from the machine running PRTG to the device you want to monitor and back. SNMP requires the use of UDP ports >1023 to the PRTG client side. This is important for your firewall settings. Ensure that the firmware of the monitored device is up to date. Select the appropriate SNMP protocol. It is important to know which SNMP version you have to select, because if it is not supported by the server or device you want to monitor, you will receive an error message. PRTG offers many vendor specific SNMP sensors for some common vendors. These sensors have been tailored to fit the end devices perfectly. Many years of experience allow us to work around familiar vendor implementation errors, for example if SNMP has not been fully implemented on an end device according to the RFCs. In this case, our vendor specific sensors still automatically receive the most important values with little to no effort on your part (looking for Object Identifiers (OIDs), for example). These sensors take care of everything for you. For more information, see this article in our Knowledge Base: What SNMP Sensors does PRTG offer? PRTG offers several generic sensors that work with practically any device that supports SNMP, the corresponding Management Information Base (MIB) and Object Identifiers (OIDs), and correctly implements the according RFCs. The standard SNMP libraries of PRTG include predefined, common values for the generic SNMP sensors so that you can easily get started with monitoring via SNMP. You can monitor the following parameters with the generic sensors. The SNMP CPU Load sensor monitors the system load using Simple Network Management Protocol (SNMP). It shows the load of several CPUs in percent. The SNMP System Uptime sensor monitors the time a device is running via Simple Network Management Protocol (SNMP). It reads the system uptime value of the monitored device and shows it. PRTG also offers several operating system-based SNMP sensors that extend your SNMP monitoring. You can monitor the following parameters with these sensors. The SNMP Linux Load Average sensor monitors the system load average of a Linux/Unix system using Simple Network Management Protocol (SNMP). For your more individual needs, PRTG offers custom SNMP sensors. The monitoring capabilities of these sensors go beyond the scope of the generic sensors. The custom sensors allow you to show certain values that are not included in the standard libraries of PRTG. With these sensor types, you can monitor most devices that support SNMP and that PRTG does not have native sensor types for. Basically, you just need to find out the required Object Identifiers (OIDs) for your desired device readings, for example, in the vendor’s documentation of your hardware device. For more details, see the Knowledge Base: How do I find out which OID I need for an SNMP Custom sensor? The SNMP Custom sensor monitors a single parameter that is returned by a specific Object Identifier (OID) using Simple Network Management Protocol (SNMP). This sensor shows a single numerical value (int64) for a given OID. Each OID always refers to a specific parameter of a certain SNMP device. Delta (counter): PRTG calculates the difference between the previous and the current value. See this video tutorial SNMP Custom and Library Sensor on our website for more information. This sensor monitors very similarly to the regular SNMP Custom sensor, with the advantage of being able to poll up to 10 specific OIDs with a single sensor. For each OID you will be able to define a name, OID, expected type, and the unit to be displayed. The possible value types are the same as with the SNMP Custom sensor. Hexadecimal-encoded strings can also be decoded as MAC addresses or IP addresses. 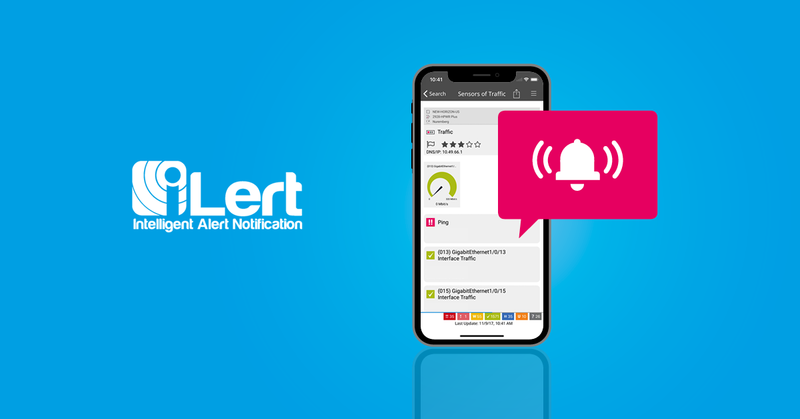 The sensor can check for keywords via plain text or regular expression or you can use a regular expression to extract a numerical value from the string that can be evaluated later for additional alerts. See section Number Extraction with Regular Expression for an example. The SNMP Custom String Lookup sensor monitors a string that a specific Object Identifier (OID) returns via Simple Network Management Protocol (SNMP). It can map the string directly to a sensor status by using a defined lookup file. Basically, this sensor type does a "reverse lookup". You have to define all potential return strings in the lookup file as text values, each in one lookup entry. Graphs and data tables show the value to which the string is mapped, usually an integer (lookup type SingleInt). See manual section SNMP Custom String Lookup Sensor—Example. This sensor shows a retrieved string value and its status, as defined in the corresponding lookup file. Vendors use tables when there are multiple instances of the same object (for example, memory, disks). The sensor recognizes a table via a meta-scan and allows you to configure the indexes (interfaces) that you want to monitor. For more details, see the Knowledge Base: What can I monitor with the SNMP Custom Table Sensor? 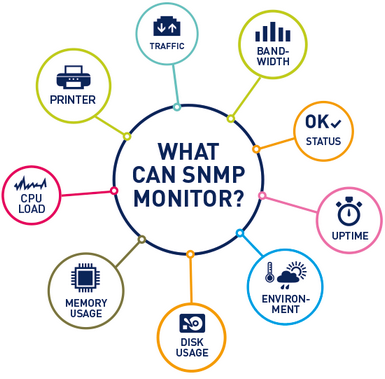 The SNMP Library sensor uses a compiled Management Information Base (MIB) library file to create sensors that monitor a device via Simple Network Management Protocol (SNMP). This approach provides custom monitoring beyond the standard SNMP sensors of PRTG. The content of the MIB file will determine which data types are available for monitoring. When you create the sensor, it will provide a list of counters that came back from the target device based on checking every Object Identifier (OID) in the MIB. From this list, you can choose what you want to monitor. The SNMP Library sensor is not actually a sensor type and will not appear as running sensor. It is a sensor that uses the meta-scan facility of the PRTG probe to find or match OIDs from an MIB and eases the creation of custom sensors, because you do not have to enter the OIDs manually. To monitor SNMP capable devices and add sensors using the SNMP Library sensor, download the manufacturer's MIB files for the target device, convert the MIB file to the Paessler oidlib format, and import it into PRTG. To make setting up your monitoring as convenient as possible, PRTG comes with pre-compiled oidlib library files that already contain the OIDs of SNMP counters for the most common devices in a network. For more details, see the Knowledge Base: How do SNMP, MIBs and OIDs work? The following files are included in PRTG and are ready to use with the SNMP Library sensor. These allow the extension of your SNMP monitoring to many devices. Please be aware that not all devices and/or parameters may be supported by the libraries. Can be used to monitor uninterruptible power supplies (UPS) from APC American Power Conversion Corp.
Can be used to monitor alarm status, communication status, humidity, and temperature as shown by an APC sensor station. Can be used to monitor basic system parameters on Linux systems, such as memory, disk and swap, CPU, etc. Can be used to monitor Cisco specific parameters, for example, the number of present network interfaces on a system, several states of an interface (admin, oper, speed, type, errors, discards, etc. ), and more. Can be used to monitor queues on a Cisco interface, for example, queue depth and its maximum, discarded messages from the queue, the number of the queue within the queue set, etc. Can be used to monitor Dell storage devices. Possible parameters include disk arrays, battery and power supply, fan and temperature, virtual disk, etc. Can be used to monitor the hardware of Dell systems. Possible parameters include ACPower and battery, alerts, base board, Bios, BMC, chassis, COO, cooling, event log, firmware, IDE, keyboard, memory, port, network, processor, SCSI, system, temperature, USB, UUID, etc. Can be used to monitor toner, paper, and jam status of an HP LaserJet printer. Can be used to monitor different aspects of Linux systems. This file may detect a very large number of interfaces. It may take a few seconds until the selection table is shown. Can be used to monitor many common hardware devices. It is used for several sensors and is encrypted. Can be used to monitor logical disks, processor, memory, and network interface on Windows systems. Knowledge Base: How can I import my MIB files into PRTG? Knowledge Base: Can't find a sensor for my device in PRTG but I believe it supports SNMP. How to proceed?